With midterms underway and the dreary February weather setting in, it can be a stressful time of year. If you’re looking for a colorful way to de-stress, look no further than UBC Library’s newest digital colouring book. #ColorOurCollections week, which was launched as a social media festival by the New York Academy of Medicine Library in 2016, takes place this year from February 4-8. 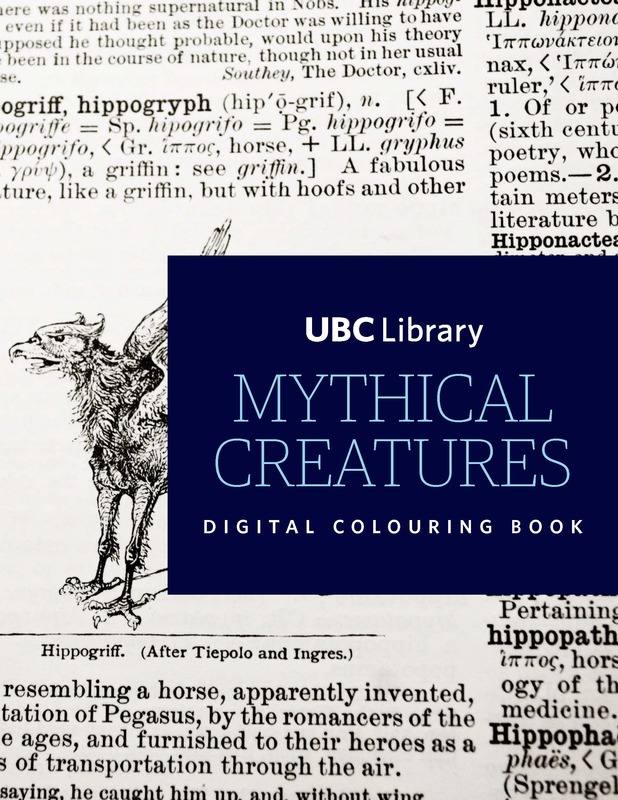 To celebrate, UBC Library has put together a new digital colouring book, Mythical Creatures, which draws on images from the William C. Gibson History of Medicine and Science Collection at Woodward Library. Download the colouring book for free on the Library website. You can also learn more about the Library’s first colouring book, which used digitized images from the Kelmscott Press’ Works of Geoffrey Chaucer, a treasured addition to UBC Library’s Open Collections. The Kelmscott Chaucer presented some unique digitization challenges, due to the construction and design of the book. Read more on the Library blog. Have you found any images in Open Collections that you’d like to turn into coloring pages? Let us know what you would like to see in our future colouring book volumes.